Asset allocation is one of the most important steps in your portfolio management process. The initial step for the financial planner is to determine your required rate of return based on your financial goals, risk tolerance and time horizon. The second step is to ascertain capital market expectations, as well as the expected return and expected volatility of each asset classes. For instance, a 20% stock / 80% bond portfolio will provide lower risk and return and a more regular cash flow than an 80% stock/20% bond portfolio. It is also important to note that the latter is a riskier portfolio and is more suitable for young individuals in their twenties who have a longer time horizon and can tolerate stock market volatility. On the other hand, the first portfolio is more suitable for individuals who are nearing retirement and cannot withstand a drastic decline in their portfolio. According to Sheryl Rowling, a certified public accountant and principal at Rowling & Associates, with asset allocation strategy "you have different pieces of the pie, and all those pieces react differently to different occurrences in the market." She added, "Some pieces go up while other pieces go down, so you will still get the average return of the market, but you won't have the extreme ups and downs." What Are Different Asset Allocation Strategies? As previously mentioned, the most important factors in determining the asset mix are risk tolerance and time horizon. An individual with a longer time horizon and higher risk tolerance should automatically tilt his or her portfolio toward stocks. According to a traditional rule of thumb, the percentage of stock allocation should be equal to 100 minus your age. So if your age is 25, then 75% of the portfolio should be allocated toward stocks. Over the years, many experts have expressed concern over using this rule as they believe it results in extremely conservative portfolios for retirees. Also, following the aforementioned rule deprives an individual of venturing into other asset classes other than stocks and bonds. For instance, during high inflation, stocks, bonds, as well as cash and cash equivalents tend to underperform. To combat inflation (in financial terms we can say to hedge inflation risks), individuals can invest their money in real estate and commodities to achieve low variability in their portfolio returns. Tactical asset allocation: While strategic asset allocation is implemented over the long term, tactical asset allocation allows investors to make short-term deviations from asset weights assigned in strategic asset allocation strategy. These short-term deviations are achieved by implementing a moderately active strategy. For example, your financial planner expects domestic stocks to outperform in the future as the Federal Reserve is about to announce rate cuts. He/she may ask to take out money from cash and cash equivalents and invest more money in domestic stocks for six months. However, the portfolio will return to the strategic asset mix after six months. Asset allocation is the most important part of the portfolio construction process. It can be strictly passive in nature or can become a very active process. The asset mix decision heavily depends on an individual's age, risk tolerance, goals, time horizon and capital market expectations. It is important to note that an asset mix for one person may be completely inappropriate for another. Marguerita M. Cheng, CFP®, CRPC®, RICP®, CDFATM, Chief Executive Officer at Blue Ocean Global Wealth, is a Certified Financial Planning Expert with 18 years of experience. 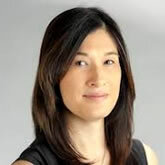 Prior to co-founding Blue Ocean Global Wealth, she was a Financial Advisor at Ameriprise Financial and an Analyst and Editor at Towa Securities in Tokyo, Japan. Ms. Cheng serves as a Women's Initiative (WIN) Advocate and subject matter expert for CFP Board, contributing to the development of examination questions for the CFP® Certification Examination. In 2017, she was named the #3 Most Influential Financial Advisor in the Investopedia Top 100, a Woman to Watch by InvestmentNews, and a Top 100 Minority Business Enterprise (MBE®) by the Capital Region Minority Supplier Development Council (CRMSDC).